This is our fourth SGN produced on the estate and the second in the Brand vineyard (first one was in 2006). 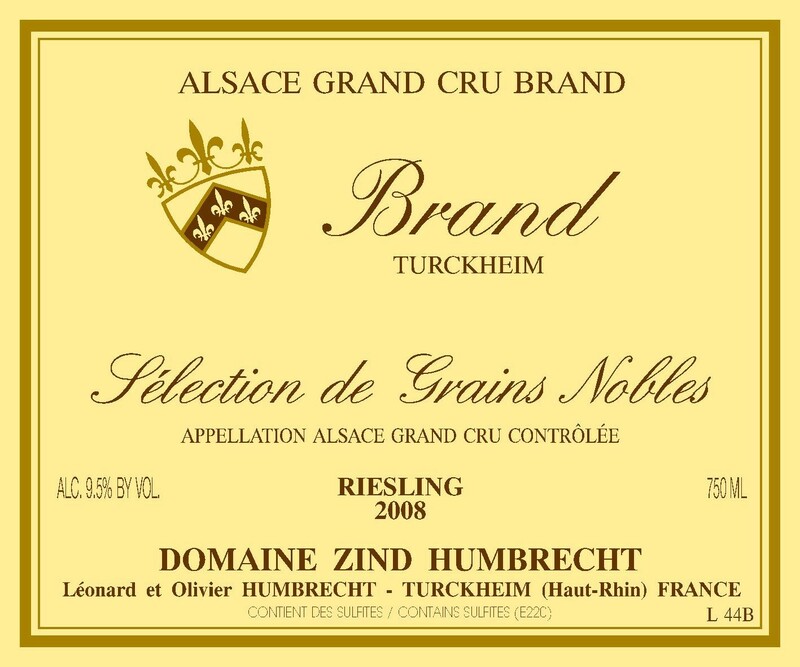 The precocious warm location of the Brand is often allowing lot of noble rot development. However, we believe that only the oldest vines can give enough structure so the wine can stand the extra amount of sweetness found in SGN. The ‘Schneckeslbourg’ part of the Brand is in fact located just above the Clos Jebsal, so there is no coincidence that this is where we may produce this style of wine. Under the poor granitic top soil, there are some layers of marl and limestone that give more regular water supply to the vines and therefore allow more consistent botrytis. The selection was quite easy and the aim wasn’t to harvest the richest style possible, but to keep a balance between the potential alcohol and acidity of the grapes. The fermentation was finished during winter and the wine naturally kept a high residual sweetness and lower alcohol, balanced with a firm acidity. 2/2010: this wine is still an infant today, but already it shows beautiful, delicate fruity Riesling character enhanced by the Brand personality. Today it has a more austere development than the dry Brand, but further ageing should allow this wine to fully open. The palate is an extraordinary balance between the acidity and sweetness. Very long and delicate; it will be released only in 2011.